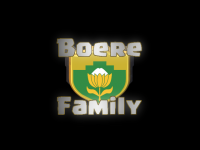 Boere Camp is currently recruiting new members. Please click on the Apply Now tab on the main menu to see if you have what it takes to be part of this AWESOME clan. Make sure you understand our clan rules. They are there for a reason.